Provide a tangible benefit from your company. Print is a proven marketing medium to communicate with your customers. 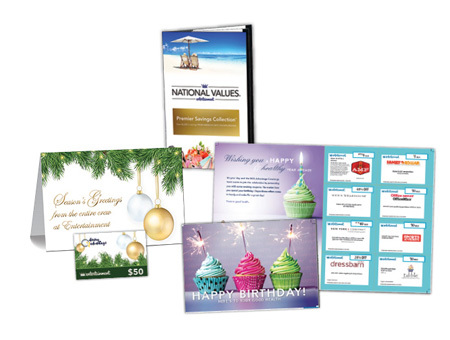 We have a variety of formats and sizes to meet your budget and marketing goals; you pick the coupons and the message, and we’ll customize everything! 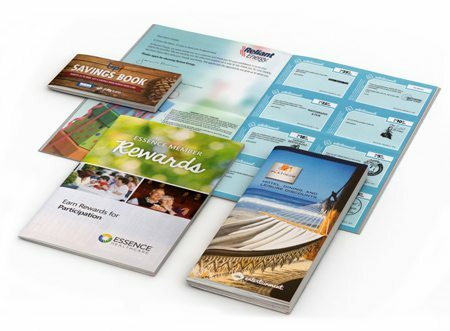 Our printed materials include exceptional savings at local, regional and national merchants, and they give your customers access to great deals for as long as 18 months. 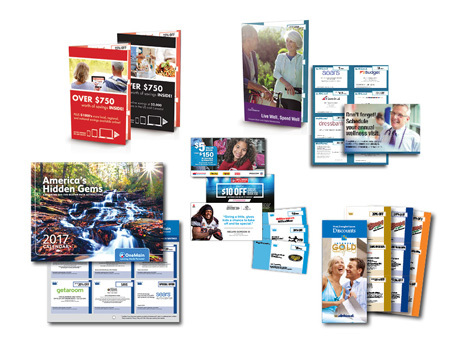 By using our geographic, demographic and lifestyle data, we’ll create printed marketing materials personalized for your individual customers. Our custom and variable printed materials feature Entertainment®’s best-in-class discounts – geotargeted to your audience.